A Point of Sales (Cloud POS system) system is one of the assets that will enable the business to become a profitable venture. Management relies on the iPad POS to make critical decisions and even to evaluate the progress of their business. A iPad POS system will contribute greatly to the customer service experience and therefore it is a critical investment in any business. When choosing a POS system Supplier, it is always advisable that you first study the needs of your business and compare how the different available options will suit these needs. 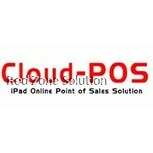 iPad POS Malaysia / Cloud pos system will be a very good idea, especially in the technological era that we are currently. Here are some important factors to consider when shopping for a Online POS system. It is important that as a business you consider whether the technology you are about to buy is current and it will improve the user experience. iPad pos system is a good choice when it comes to user experience because you are able to access the POS system from anywhere when you need to make sales. Cloud solutions are becoming widely used because the internet makes it possible to connect systems around the world. For a restaurant with branches around the world, a customised cloud pos system will help a lot when it comes to improving user experience since you are able to easily make modifications to the User interface easily. Businesses across the world are cutting on the cost of operating the business using the available solutions. Use of an online pos system in Malaysia is one solution that is easy to deploy and even provide user support. Based on the fact that it is online, it means that you can use various software’s to centrally deploy an update on all the systems on the go and therefore you don’t need to employ an IT person in each and every branch to manage the operations. This cuts operations cost considerably. With a cloud iPad pos system, you can easily get real-time reports from a central database across all the businesses that you are running using the POS. you just need to connect to the database, and you have a backend view of reports from every user meaning you are able to achieve a lot from the central office without even interacting too much with the users. This is one of the advantages of using modern technology. With an iPad pos system, you can achieve uniformity in the receipting system and also on the reporting of the daily sales in all the branches. Uniformity means you are able to apply the same management method across the branches and therefore it becomes very easy to handle your staff. Your iPad POS system Supplier should be readily available to offer support when needed. With the iPad online POS system in Malaysia, it will be easy to get the needed support 24/7. Choose iPad Point of Sale System for Your Business in This Digital Age! Looking for online ipad POS software? Want an ipad POS system for your business? A POS system is one thing that enables you to take critical decisions besides helping you make your business profitable. Get to know what your business needs are before you buy a POS software. This is the digital era and a cloud POS system would be an ideal choice. However ensure the technology is not outdated. Cloud POS system would be perfect for today’s business as you will be able to handle sales in any part of the world. Cloud solutions are easy to access and are the most sought after these days. Especially if you have multiple branches at different locations, keeping track on the sales is easier. This will cut down on your cost as you need not have more staff to manage operations at different places. Cloud POS system helps you get reports, real time! This is made possible with the central database. Just connect to it and you are ready with all the information!! Online POS software is the solution for today’s business!! iPad is the most preferred option for a POS software in the recent times. ipad is a blend of perfect hardware and software and is able to offer a simple POS solution. You can bring in uniformity across all the branches and businesses that you have, with an ipad POS system. In other words, the method of management remains the same, no matter where your branches are located. 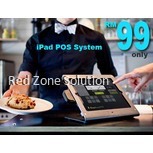 RedZone Solution offers ipad Point of sale system for your business. It is affordable while being easy to operate too. Make wonders happen by choosing an ipad POS system, see how well you can manage your branches while staying where you are!